Kyle Buzaki taught himself to play golf, but last year the teenager was off his game. He was tired, his stomach hurt, his weight was dropping. He wasn’t himself. When his mother, Sherrie, came home from work, Kyle would be asleep. 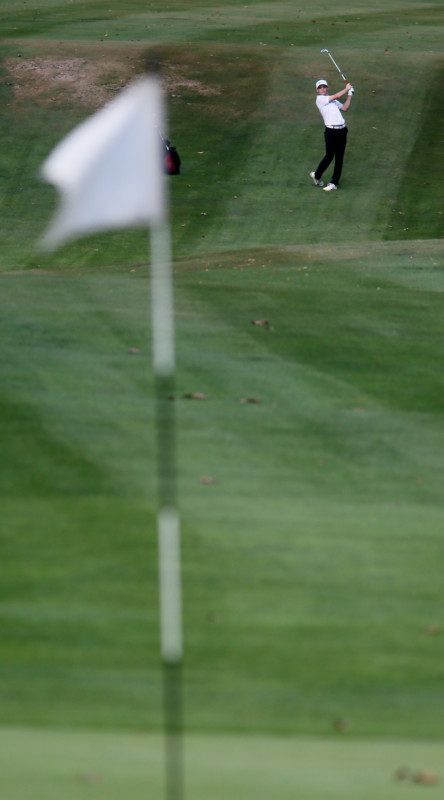 He struggled through post-season golf tournaments for the Stow-Munroe Falls High School Bulldogs. Sherrie and her husband, Steve, were worried. Kyle is quiet and stoic and often kept his discomfort to himself. A referral to an allergist revealed Kyle had food allergies. Tests showed he was allergic to an assortment of fruits, wheat and corn. Sherrie started carefully preparing foods that would fit his special diet. But it didn’t help, and Kyle grew frustrated. They went to see Akron Children’s Hospital Gastroenterology specialist Dr. Sirvart Kassabian. Kyle’s weight loss, his abdominal pain and elevated inflammatory markers in his blood prompted Dr. Kassabian to order scopes of his upper and lower gastrointestinal tract. The scopes showed areas of inflammation in his esophagus, stomach and small and large intestines — indicating Kyle had Crohn’s disease. Crohn’s is a chronic inflammatory bowel disease in which the body’s immune system attacks healthy tissue, producing inflammation. The cause is unknown, and there is no cure. But medication can control symptoms. Sherrie and Steve were nervous telling Kyle about his diagnosis. It turned out the inflammation had caused false positives on Kyle’s allergy tests, she said. In May, Kyle started intravenous infusions of Remicade, a drug used to treat autoimmune diseases. The infusions every 8 weeks had an immediate effect, and his disease in now in clinical remission. “After the first 2 weeks, I was feeling a lot better,” said Kyle, who has since regained 20 pounds he lost. Kyle is an accomplished golfer with the Stow-Munroe Falls High School Bulldogs. 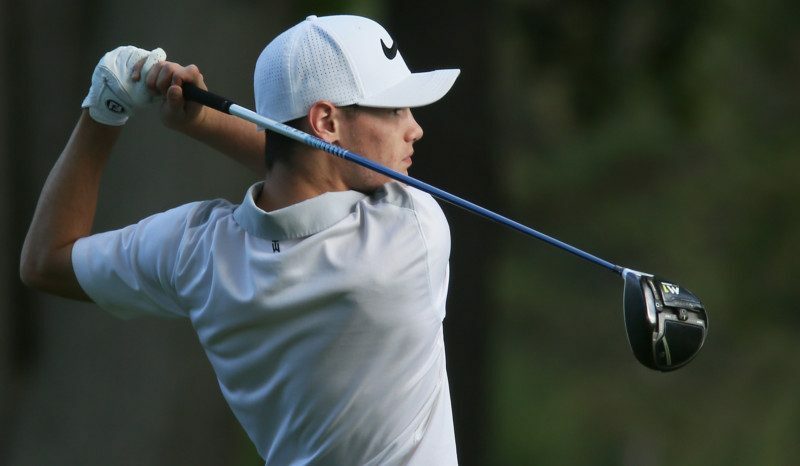 As a high school junior this year, Kyle had an outstanding golf season, averaging a score of 76 for 18 holes. He was named Suburban League National Conference Player of the Year and helped the Bulldogs win the National Conference title. Kyle was also named team MVP and he won a couple tournaments. 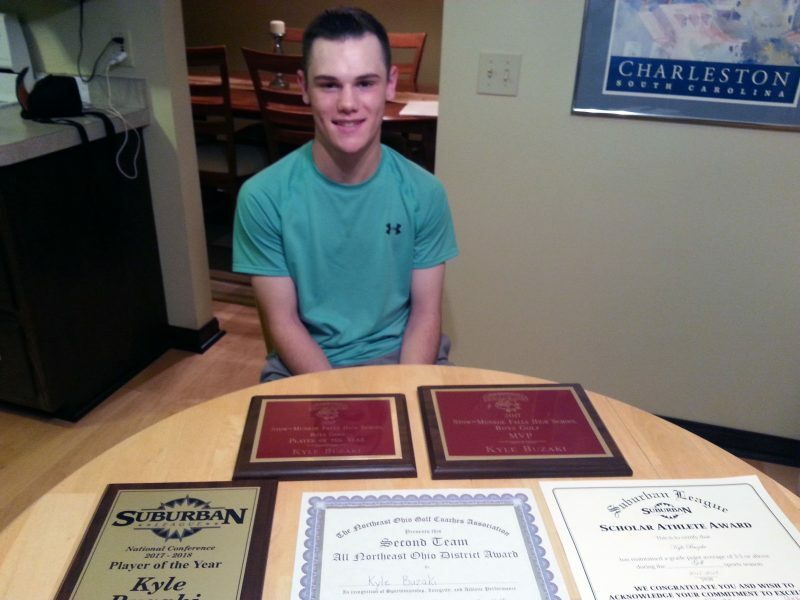 His parents are most proud that Kyle won the Suburban League Scholar Athlete Award. In recognition of Crohn’s and Colitis Awareness Week Dec. 1-7, Kyle wants other sufferers to know there is hope: “Stay positive. It can always get better,” he said. Dr. Kassabian said symptoms of Crohn’s and colitis aren’t always obvious. Some patients don’t develop diarrhea or blood in the stool. Those with family history and symptoms such as weight loss and ongoing belly pain need to be evaluated. Kyle with his parents, Sherrie and Steve, and older sister, Kristen. Sherrie, an accountant, and Steve, an industrial designer, are relieved that their son is feeling better. Their relief is tempered by the realization that Crohn’s is a chronic condition that Kyle will always have to deal with. “It’s tough to watch your child go through something like this,” Steve said. Remicade, a biologic medication, has vastly improved treatment, and allows patients a much better quality of life than could be achieved previously. Dr. Kassabian is confident even better medications will be available for Kyle down the road. 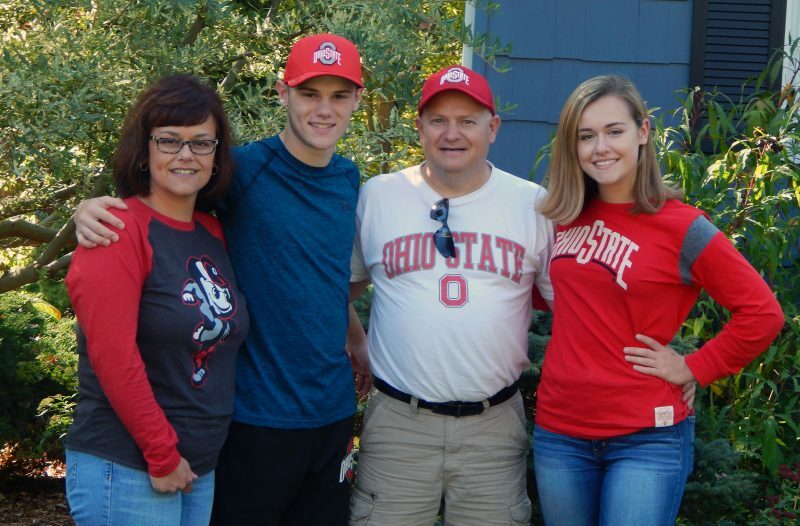 With older sister, Kristen, attending The Ohio State University, Kyle is starting to look at schools. 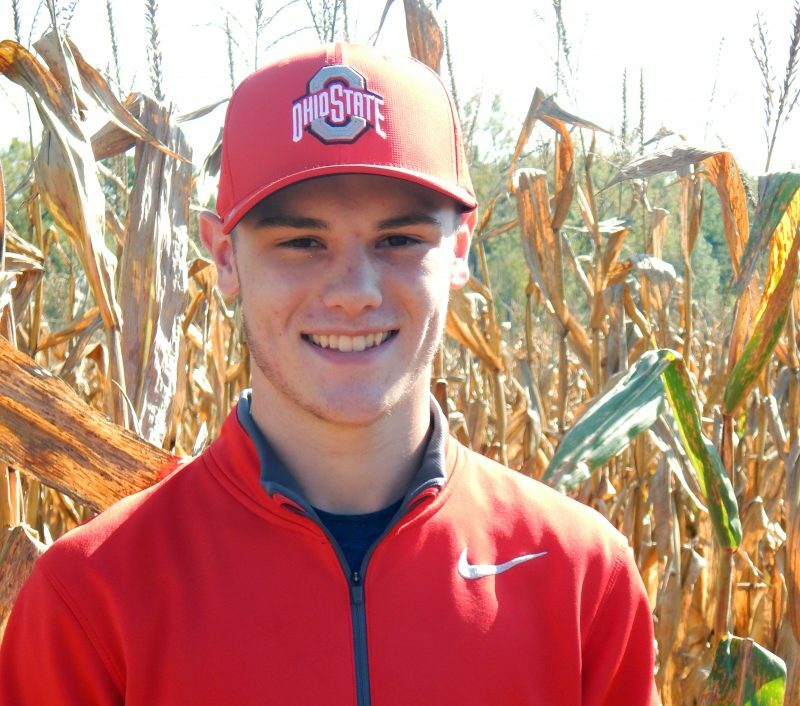 He hopes to play the game he loves at the collegiate level, determined to not let Crohn’s disease knock him off course.